Once before I’ve seen waiters and guests disappear mysteriously behind a wall panel at Gauthier. This award winning restaurant just off the main Soho drag is a plush narrow townhouse with uneven winding stairs and a cluster of dining rooms. And so with the secret wall panel shut tight, and the raucous party in the next room silenced, we are in this tiny hidden dining room ready for our curious dinner party to begin. Adrian Atkinson is hosting Brancott Estate’s first Curious Club dinner. We have been gathered as guests because … erm, we must have some kind of reputation for being insatiable, overly question hungry, knowledge seeking gourmands. Well, tonight we’re off the leash. Adrian is a wine industry lifer. A geography degree led to studying the science of terroir, and onward to a buying role at Oddbins. 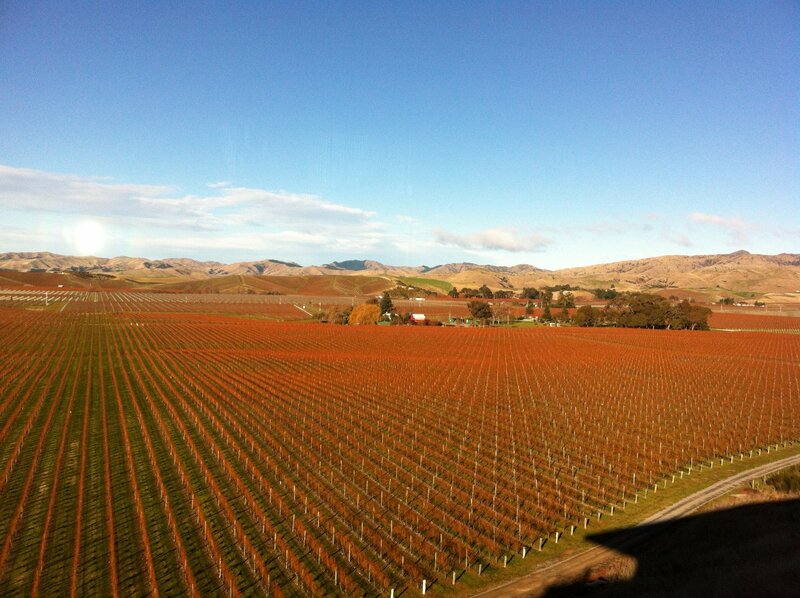 Now he is a regular commuter to New Zealand, to the beautiful Brancott Estate (until a few years ago, known as the Montana brand). He strikes up my envy as he steals a moment to show me his phone photos of these wondrous vineyards rolling out beneath a luminous sky. 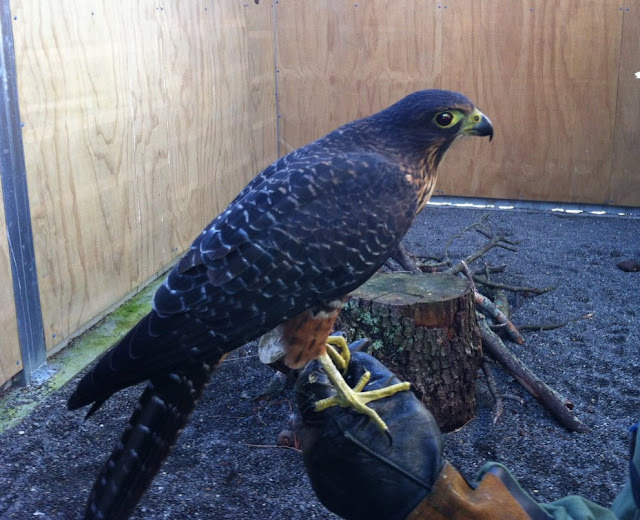 He then flicks to close-ups of tame falcons rescued within the Estate’s conservation area. I get the scene. It was the first to plant Sauvignon Blanc in Marlborough in 1973, in a region so far south that it was considered unlikely to thrive. The curiosity paid off. A sharp drop in night time temperatures coupled with high day time temperature creates high acidity and locks in the signature floral flavours of the Sauvignon Blanc. Apart from when a bunch of girlfriends and I often choose a Marlborough Sauv Blanc on an easy catch-up type of night, I have not really explored beyond this. So, it is a revelation tonight when flutes of Sauvignon Blanc Brut NV greet us as our sparkling aperitif - fresh, grassy and passion fruit scented with a string of fine bubbles. It is the official NZ wine for the Rugby World Cup, and I can see how it’s just the right kind of refreshing fizz for a celebratory moment. We are enjoying an early Christmas dinner and the menu is rich and opulent, but I recognise the Alexis Gauthier flourish of lightness from his garden menu, previously at Roussillon. Tonight’s is the perfect meal to show off the vibrancy of the Sauv Blancs. The Sauvignon Gris which follows gives an easy transition with a fuller palate. A second Sauv Blanc, a 2011, gives richer more concentrated flavours and texture as a result of short ageing in French oak. We trial all three wines with a succulent lobster salad strewn with lemon and artichoke and spiked with mustard. For me, this is the triumph of the night’s dishes. A soft, low tannin Pinot Noir is then poured to accompany an aromatic truffle risotto. This is where I’ve learned to overcome dinner party shyness of asking for more - just say you need an extra shave of that beguiling truffle to get a better action photo. Adrian manages to answer our barrage of questions with a non-stop flurry of facts. We learn about the meticulous technique of planting East to West, for this thin-skinned Pinot Noir is hard to grow. It also goes perfectly with our main of melting Highland venison. I try a switch back to the 2011 Sauv Blanc and see how it complements the delicate pumpkin and pear accompanying the meat. It’s Christmas pudding for dessert. It may look like a school pud, but this one is super-light and I’m eyeing a second glass of that Brut NV. Instead, a more tantalising offering arrives. A luscious late harvest Sauv Blanc bursts with that same peachy aroma, but slides down more easily than the fizz. Only 500 bottles are available in the UK, and they are unusually being released via orders on Facebook only. As a Trophy winner in the 2012 Decanter World Wine Awards, it is set to be snapped up within a whisper. This is a truly crafted dinner and the wines have bound together all these sumptuous flavours. I have tripped through without that guilty over-fill of Christmas Day. But just when I feel I am understanding it all, there is an odd surreal moment. A plate with chocolate chilli popcorn is passed round. I eat it staring at a picture on the wall of a soup tin with a bottle of Coke plunged in it. Really? Curious they shall remain, but enlightened are we as new members of the Curious Club. To enter the competition to win a Brancott Estate Hamper containing a bottle of Brancott Estate Sauvignon Blanc Brut NV, two Riedel celebration glasses and all you need to make the perfect blini – premium smoked salmon, crème fraiche, lemon and chives on Wednesday, the 19th December 2012, simply leave a comment in this post stating your NAME and E-MAIL address as MrBloggs(at)gmail(dot)com by midday on Wednesday, the 19th December 2012. The lucky winner will be randomly selected using random.org and his/her name will be announced via Twitter (follow @thelondonfoodie) at 8pm on that same day. To increase your chances of winning (every tweet/retweet will count as an additional entry - up to 1 tweet per follower), follow and tweet me on @thelondonfoodie for @BrancottEstate competition by midday on Wednesday, the 19th December 2012. If you do not use Twitter, I will also be publishing the winner's name here on Friday, the 21st December 2012. The lucky winner of this competition, randomly selected by random.org, was entrant number 5 - Benvfood! Congrats Ben, and thank you for entering the competition. Su-Lin Ong (@sloLondon) enjoyed the night on behalf of The London Foodie as a guest of Brancott Estate, Gauthier, and Weber Shandwick.